The Pursue Your Purpose team consists of highly talented members from 7 cities spanning across 5 countries in North America, Central America and Africa. Dynamite in a small package, fearless and inspiring are just a few words to describe Tamiko Cuellar, the CEO and Founder of Pursue Your Purpose. She is a proven leader in the global business community and has been invited to speak at the U.S. Embassy, the University of Namibia (Africa), the University of South Africa (Johannesburg), Microsoft, First Bank, the City of St. Louis, the Chamber of Commerce, and more. She has been a guest contributor or feature on Forbes.com, The Huffington Post, The Business Journals, Good Morning Namibia, One Africa TV, and several other African media outlets. Tamiko was nominated for the 2013 Business Influencer Award and in 2016 recognized by The Women’s Business Journals as a Woman on the Move. In 2016-17, she was appointed as a Mentor to emerging entrepreneurs in Africa as part of Tony Elumelu's Entrepreneurship Programme. She served as an Adjunct Professor of Entrepreneurship/Small Business Management at City Vision University. She is a member of the National Association of Professional Women (NAPW) and the Forbes Coaches Council. She oversees a team of 13 members in 5 countries. 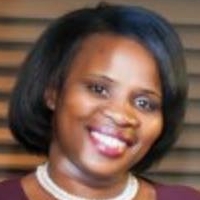 Tamiko is the President & Founder of Africa Trade Partners. Yolanda has 10 years of experience in Project Finance, Investment, Governance, ISO Quality Management,ISO Environmental Management, Training and Facilitation within Engineering Sector in Project Execution Department of various energy projects. She has earned a Post Graduate Diploma in Business Administration from UCT Graduate School of Business, a Pre-MBA (AIM) at UCT GSB, and a N.D in Cost & Management Accounting at CPUT. She sits in different boards from different sectors including education and energy sector and is a multiple award winner. Florence’s professional background includes Property Consulting where she conducted property valuations, property management and advising clients on building a property portfolio. She also is experienced in promoting international trade between China and Africa. 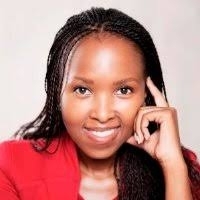 She has earned a Graduate Diploma in Management (MBA Candidate) and a Financial Management from Regent Business School where she is also completing her MBA, and a Certificate in Finance and Financial Management Services from the University of South Africa. As a Brand Consultant, Lungiswa’s expertise is in providing brand advisory services that drive sustainable development in brand management & training, brand consultancy & research and social impact branding. She helps brands to leverage opportunities, engage communities and responsibly deliver on their promise. Lungiswa earned Bachelor of Arts with Honors in Strategic Brand Communications from Vega School. She now focuses on engaging start-ups, entrepreneurs, small businesses and organizations to develop brand-led sustainability for a human-centric economy. “Ndahambe” is currently a student with more than 8 years experience of Public Speaking skills and debating skills. She is a Women’s Rights advocate at African Woman Honors and Empowerment Namibia South Chapter. In addition to her role as Global Brand Ambassador for Pursue Your Purpose LLC, she serves as an ambassador of an initiative called #BreakFree in Namibia. She is skilled in advertising using social media. She is scheduled to graduate from the University of Namibia in Windhoek with her degree in Law in 2020. Amanda’s wealth of knowledge and 9+ years of experience spans from administration, executive management, sales, risk management, customer relations and business development. She is skilled leader in many areas of Administration including transcribing, formatting, inputting, editing, retrieving, copying, and transmitting text, data, and graphics. An avid learner, she has earned an AS degree in International Economics from Politecnico di Milano and A.S. degree in Project Management from The British School of Milan. Patricia is a proud geographer by training and a writer/journalist by passion. Her professional strengths are in written and oral communications, Social Media management, E-mail marketing, Content Marketing, and Website Administration skills. 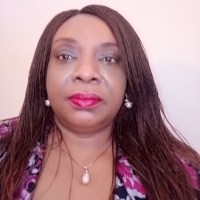 Patricia earned a BS degree in Geography from the University of Ibadan and a Masters degree from the University of Lagos in Regional Planning and Development. Yetunde is a charismatic business professional and entrepreneur with expertise in Public Speaking, Advertising, Media Relations, Telesales, Leadership Development and Business Development. 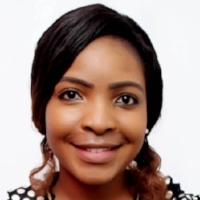 her professional background includes training and international trade investment company that deals on exportation of agro commodities to foreign buyers and in the logistics industry. Yetunde holds a Bachelor’s degree in Industrial Design from the Federal University of Technology Akure. Favour is a Public Health Practitioner with a demonstrated history of working in and outside hospital walls. She is currently Program Associate in Community Services. Her professional experience is in applied health research, health program management and monitoring and evaluation. She is passionate about improving the health and wellness of her community and globally especially of women and children. Favour has earned a BS in Biology from the University of Ado Ekiti. Linda’s professional background is in the Nutrition and Maternal Health Industries. Her interests include Complementary Feeding Knowledge and Practice and Perception of Nursing Mothers. She has served as Treasurer of Association of Nutrition Science Students, as the Welfare Coordinator of Gospel Student Fellowship, and as the Treasurer of Final Year Brethren at her university. Linda attended the University of Ibadan where she obtained a BS degree in Human Nutrition and Dietetics with Honors. Ukpong has a professional background as a Supervisor for a major airline. Additionally, she has spent several years in her career as an Independent Distributor. She has served her community as a Women’s Welfare Officer for an international ministry. Ukpong earned her MBA degree in Human Resources from the University of Lagos. Lily is currently an IT professional with experience in Network Operations, Administration, Sales, Human Resources, and Public relations for various sectors including the airline industry. She has served as a volunteer for several children’s organizations. Lily has earned a BS degree in Computer Science from Kwame Nkrumah' University of Science and Technology in Kumasi. Gloria’s professional background is as a Research Assistant in the Energy and Agricultural sectors. Her accomplishments include serving as a Research Assistant for authors, an Organizer of career guidance training in the Faculty of Agricultural Science at KNUST. She is a graduate of Kwame Nkrumah University of Science and Technology (KNUST) Kumasi where she earned her Bachelor of Science in Agricultural Science. Michelle serves as the Executive Assistant to CEO & Founder of Pursue Your Purpose LLC, Tamiko Cuellar. She is a licensed Marketing professional and has a background in executive administration and customer service. As a Business Analyst, she completes a variety of research, administrative and marketing tasks for PYP. Michelle received her degree in Strategic Marketing from the Universidad Dr. José Matías Delgado.